We as a Customs Broker's ensure that our clients' shipments move seamlessly across the border and reach their destination on time, adhering to customs laws and regulations. If there's a problem, we will work to get it rectified, so the client’s goods can be released from customs and sent on to their destinations. Thus, with this development it will help to strengthen our market competency within the industry community and MNC players. 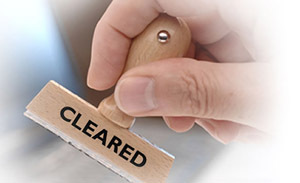 As a market leader, we maintain industry best practice standards throughout the clearance process. Cross-Border Services provide customs clearance services for Malaysia, Singapore and Thailand borders for cross border shipments. Our customer service programs enable online visibility to entry, delivery, tracking and billing details, and offer flexible reporting capabilities.